We're like pioneers, going out and doing research that people haven't done before. Santa Catalina sits just two miles from the Monterey Bay National Marine Sanctuary, an environment so rich in biodiversity it's known as "The Serengeti of the Sea." Because of our location, we have developed a signature program that exposes our students to the wonders of Monterey Bay and allows them to take full advantage of its great educational value. Our three-year Marine Ecology Research Program provides an intensive focus on marine science for a select group of students beginning in their sophomore year. Students study in and around the ocean, doing research, learning by observation, testing hypotheses, and experimenting in the bay itself. Students learn how to snorkel in the pool on campus, a valuable skill for marine data collection. In the sophomore year, the fundamentals of research methods and literacy are taught in the Marine Ecology Research class. In this course, students learn the basics of data collection in marine environments and the fundamentals of scientific practice, including reading and writing about technical subjects, experimental design, and statistical analysis. Aquaria on campus allow students to house live organisms for research and experiments. Building on the foundation of sophomore year, students spend the majority of their junior year developing and executing a marine science research project. As appropriate, they work with local marine agencies. Senior MERP students present their research every year at the Western Society of Naturalists conference. 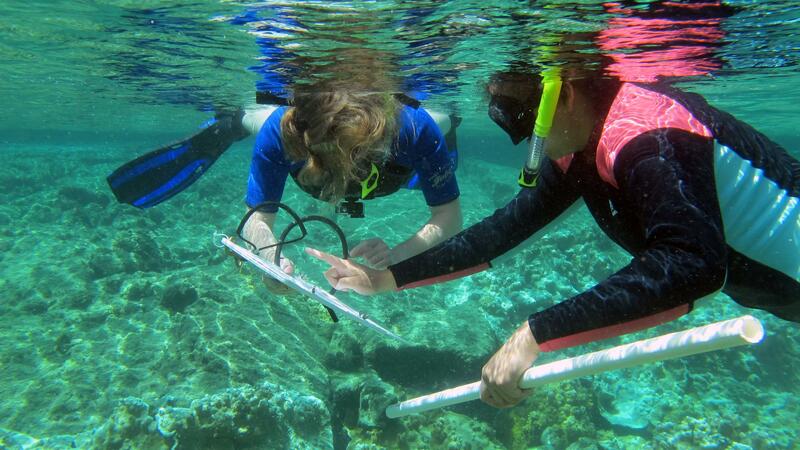 During senior year, students enroll in Marine Ecology Research Honors. In this class, scientific communication and research project presentations are the primary objectives. As a capstone project, students present the results of their individual research project in a public forum. At the conclusion of this three-year program, students receive a certificate of completion. We need to experience a new setting to notice our own place. After every school year, students take a trip to Hawaii to monitor the health of coral reefs, an ongoing research project in which each year's students build on the observations of the last. Students also hike across volcanic craters, walk through native rainforests, swim among juvenile reef fish, and explore green sea turtle habitats. 1. To provide motivated and skilled students real involvement with scientific and technical fields—experiences that are not usually found in a high school curriculum. 2. To give students a deeper experience in the fields of marine science and to help them develop the leadership skills required to successfully interact with a dynamic marine environment. 3. To give students unique abilities and experiences that will allow them to take advantage of opportunities in college and future careers.